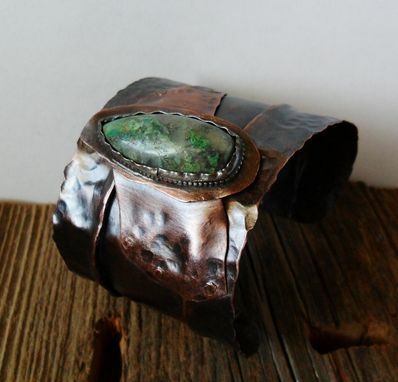 A chrysocolla stone with quartz sits under a textured sterling silver bezel on 2 layers of hammered copper metal. 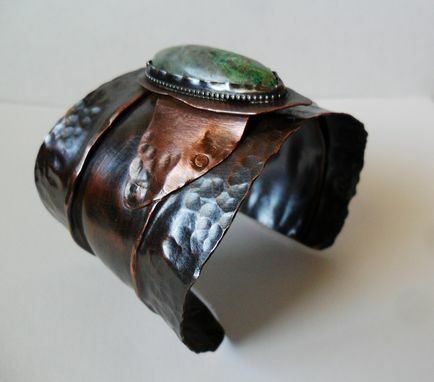 This top setting sits upon a 2 folded, fold formed and hammered copper cuff bracelet. Mens or womens stylish fashion jewelry cuff bracelet 6 inches long and approximately 2 inches wide. 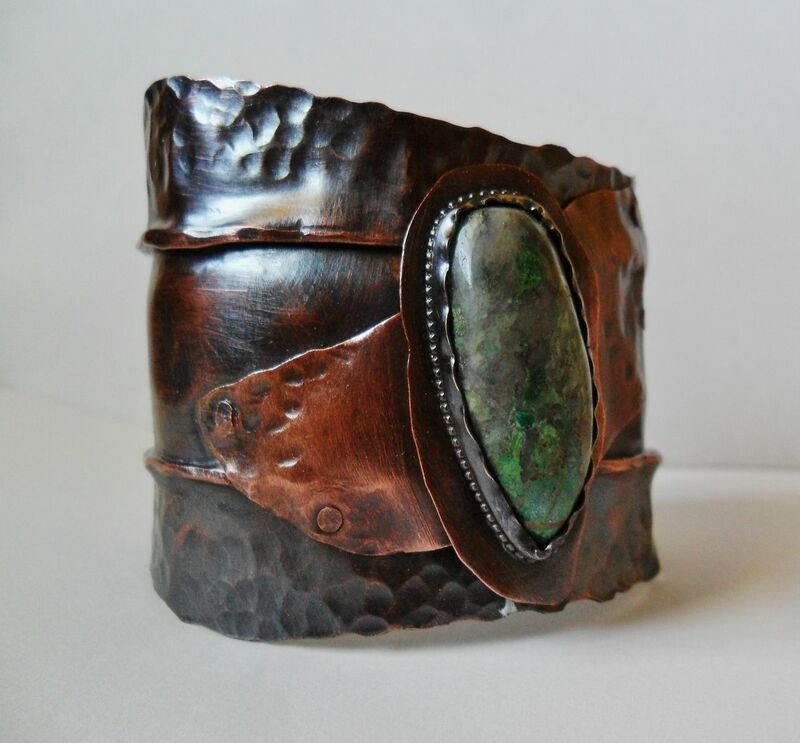 My jewelry is all hand cut from metal sheets, folded, worked and formed into outstanding pieces for men or women. Earrings, rings, necklaces and jewelry boxes all designed and created solely by myself in my studio. I find rare colored stones and pair the textures in them with textures I apply to the metals being used. 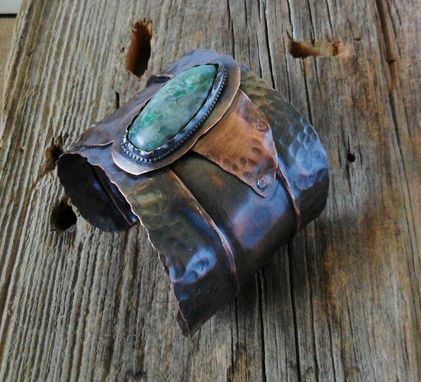 Rustic, bold pieces that are unique and one of a kind. If there is something you see that you like but want a different stone, feel free to contact me and we will start collaborating on something especially for you. Stacy Jay Jewelry has now become MadiJAXmetal . I am working on building new large pieces, furniture, sculptures and arbors and with all the new endeavors and growth I'm about to embark on, I wanted to capture the future with a new, special business name, dear to my heart.